Fig. 27. 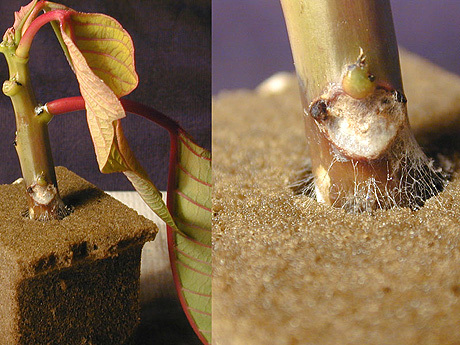 Poinsettia cutting with stem lesion in leaf abscission area (left) and close up of Rhizoctonia hyphae growing out into rooting cube (right).